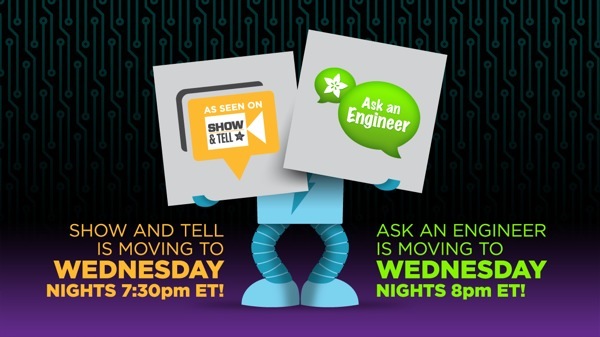 REMINDER – Show and tell is now WEDNESDAY NIGHTS at 7:30pm ET / ASK AN ENGINEER is now WEDNESDAY NIGHTS 8pm ET ! « Adafruit Industries – Makers, hackers, artists, designers and engineers! 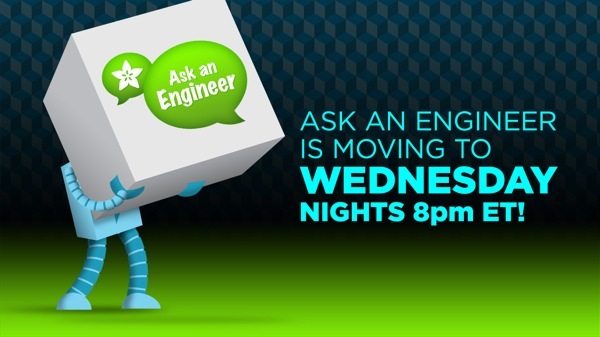 REMINDER – Show and tell is now WEDNESDAY NIGHTS at 7:30pm ET / ASK AN ENGINEER is now WEDNESDAY NIGHTS 8pm ET ! SHOW AND TELL – Wednesday nights, 7:30pm ET on Google+ Hangouts OnAir (playlist here). ASK AN ENGINEER – Wednesday nights, 8pm ET on YouTube LIVE and Ustream (playlist here). 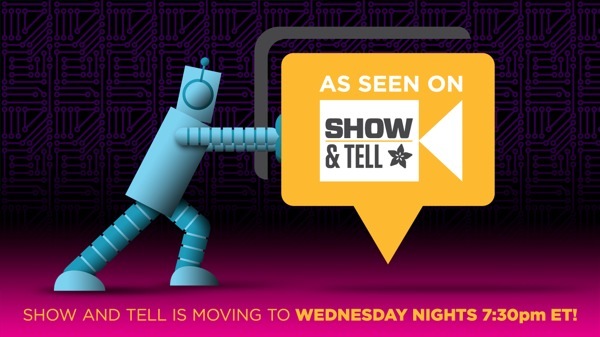 Comments Off on REMINDER – Show and tell is now WEDNESDAY NIGHTS at 7:30pm ET / ASK AN ENGINEER is now WEDNESDAY NIGHTS 8pm ET !